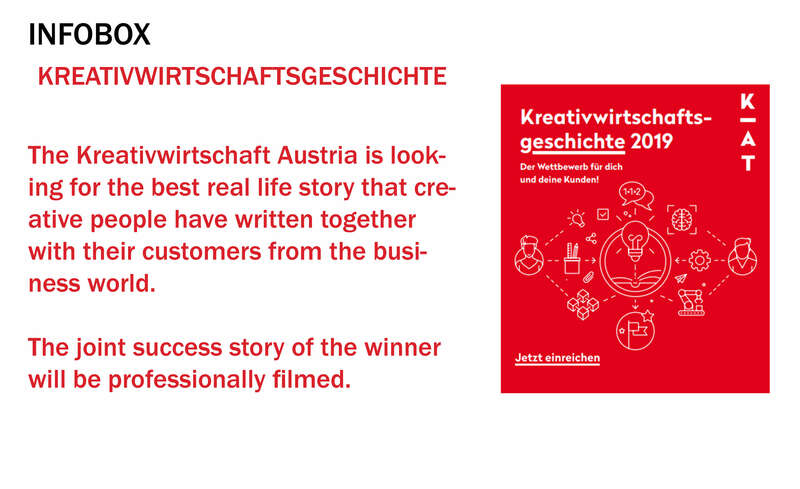 The Kreativwirtschaft Austria is looking for the best story until 24. May 2019, that creatives have implemented with their customers from the industry and have created innovation, revenue and added value. We took this opportunity to get together with three winners of the competition. Brand consultant Gregor Fink of knif.marketing, filmmaker Astrid Rampula of astrimage FILM and designer Nicole Herb talk to us about how they have benefited from the competition, how companies can benefit from creative services and why they sometimes want more courage from their customers. Key word: Kreativwirtschaftseffekt (creative economy effect, Ed. ); How can companies benefit you – think of creative services? Nicole Herb: In my opinion, companies benefit from creatives, because they bring a different mindset to the table that goes beyond the box. They put the spotlight on topics that are not obvious to the companies themselves. This benefits the companies later on and promis a long-term success. Gregor Fink: The Kreativwirtschaftseffekt is an added value that is generated by letting an external person into your business. The willingness to open up to someone else and let them think along is a first and important step in initiating change. When the basic trust is there, creatives can look at the DNA of a company and redesign it. Astrid Rampula: As a creative person I make visible things that are already there, but which have been perceived differently so far. If I act as an entrepreneur, I have a clear picture how something should be. If a new client comes along and asks weird questions, then I am encouraged to think differently and use another approach. This different mindset is an enrichment for every company. Gregor Fink: In general, more and more companies are opening up to creative people. A look at the winners of the Kreativwirtschaftsgeschichten makes that clear. Gölles, the Wachmann Mühle and the Koje were rather regional family businesses. These companies have rarely used creative minds as consultants. This connection creates the Kreativwirtschaftseffekt. What would you want from the corporate side? Astrid Rampula: I can describe that in exactly 7 letters – COURAGE. Mutual trust can be build if not already there from the beginning. But courage – I miss that very often on the company side. Nicole Herb: I think that openness to new approaches is very important. I’m not just talking of creative ideas, but of approaches that can really influence a company. Gregor Fink: Courage is an important factor. My opinion is concurring with Astrids. In my job I notice that very strongly, because I am usually involved in longer processes. It takes stamina and confidence for a successful business relation. The importance of creative industries is increasingly emphasized in public discussions. How do you, as a creative person, feel about the current situation? Gregor Fink: I think there is a gap between reality and wishful thinking. In my eyes, the creative industries have to expose the problem areas of customers, where we as creatives can offer added value to them. Where can the customer realize that creative people are providing solutions for him? There is definitely potential to communicate more clearly what creatives can do. Astrid Rampula: If you have a trusting relationship with the customer, the collaboration works very well. The example of AVL, an Austrian company for the development of powertrain systems, comes to my mind. 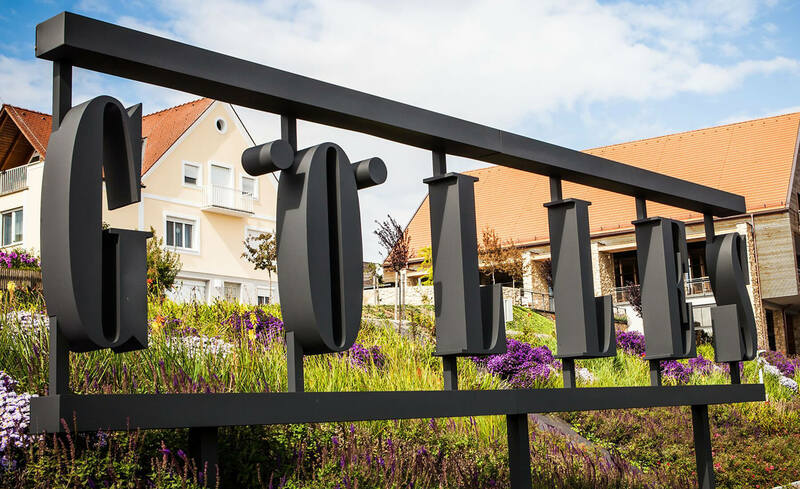 After completing the project, the project manager approached me and said, “Astrid, it’s amazing how many things we’ve learned, which we can reintegrate into our marketing process.” This shows what kind of added value, that goes beyond the project, can result from good cooperation. Nicole Herb: Nowadays the performance of creatives is valued much more. There are still companies who believe that creative people are “just” service providers who need to be fed data and then they spit something out. However, there is a clear trend that creative professionals are increasingly being used as consultants and creative sparring partners to develop new business. Astrid Rampula: That is why I consider the work of interest groups such as Kreativwirtschaft Austria and Creatives Industries Styria. They raise the profile of creatives and create an awareness of our work. One of your projects was honored by Kreativwirtschaft Austria as the best Kreativwirtschaftsgeschichte of the year (Creative Story of the Year, Ed.). How did that happen? Gregor Fink: This is a funny story that shows how life often plays. The Wachmann Mühle sponsored the buffet at an event organized by C hoch 3, a creative business coaching platform. An employee of the Kreativwirtschaft Austria noticed the new corporate identity that Florian Wachmann and I developed. Then she encouraged us to participate in the contest. That was two days before the end of the submission deadline. We quickly compiled and submitted all the documents. It is all the better that we have won in the end. It also encouraged me to continue on my way. For me, the project with the Wachmann Mühle was the first cooperation of this kind. Previously, I was mainly active in the sports and cultural sector. Astrid Rampula: I see it not only as a prize for me, but as an award for all creatives who have been involved in the implementation of the “Erlebniswelt” for the Manufaktur Gölles. In addition to the speaker, the lighting and sound technicians who worked directly on the film, so many other creative people were involved in the project “Erlebniswelt”. When I saw the invitation to participate in the competition, I thought that the project with Gölles was predestined for it. Really winning at the end was a nice conclusion to a great project. Nicole Herb: The cooperation with the Koje has received national attention – I think that’s why we decided to take part in the competition. The project was unique in every case. In addition to the award for Kreativwirtschaftsgeschichte, we also received the Vorarlberger and the Austrian State Prize for Advertising. It also resulted in several exciting new jobs. Astrid Rampula: Behind the Graz film production astrimage FILM stands Astrid Rampula. She works primarily with companies and artistic institutions. She uses “Creative Film Consulting”, a method developed by her to retrieve the entire creative potential of a company. Her cinematic narrative of the history of the Manufaktur Gölles was honored as the best Kreativwirtschaftsgeschichte of the year 2017. Nicole Herb: Nicole Herb specializes in the creation of visual identities for businesses. She is an expert in incorporating the values, orientation and mission of a company into the corporate identity. 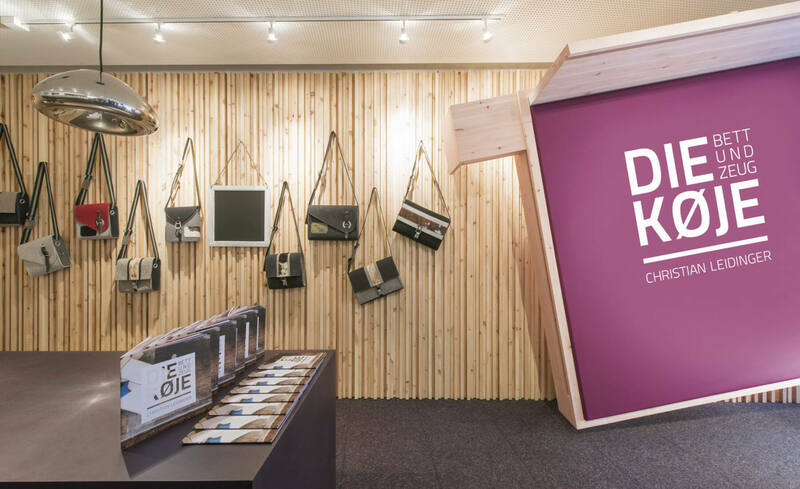 Working with the owner, she developed a multi-award winning new visual identity for the Koje. In 2015, the project was voted the Kreativwirtschaftsgeschichte. Gregor Fink: Gregor Fink from knif.marketing is a brand consultant. He advises small and medium-sized companies on the reorientation of their brand. He himself describes his task as “new play space in companies”. His collaboration with the Wachmann Mühle was voted as the best Kreativwirtschaftsgeschichte 2016. As part of the Austrian Chamber of Commerce, the Kreativwirtschaft Austria represents the interests of the creative industries in Austria and the European Union. It is committed to the visibility of creative economy-based services. In addition, it offers comprehensive services for the economic success of creative people and their cross-industry networking – so that you can realize your ideas. 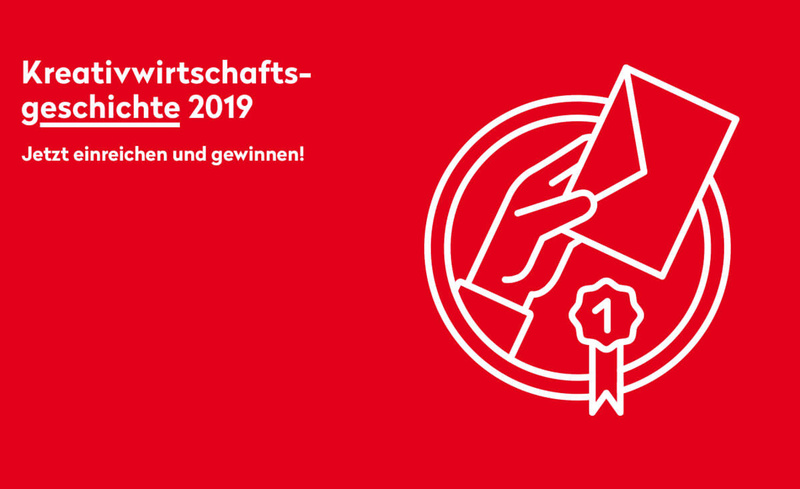 One of these services is the competition Kreativwirtschaftsgeschichte 2019. The prize is awarded by the Kreativwirtschaft Austria in cooperation with the federal branches of commerce and trade, commerce, information and consulting, tourism and leisure industry as well as Gründerservice, Junge Wirtschaft and Frau in der Wirtschaft of the Austrian Federal Economic Chamber as part of the Austrian Creative Economy Strategy of BMDW.